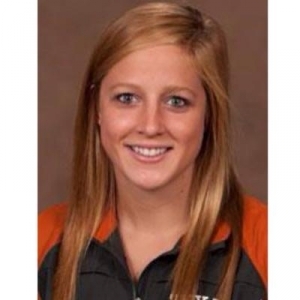 AUSTIN (WBAP/KLIF) – A former University of Texas swimmer is suing the Cooper Clinic in Dallas following a suspension that halted her swimming career. Madisyn Cox, a former member of the U.S. National Swim Team, filed a lawsuit Monday against an affiliate of the Cooper Clinic for negligently producing and selling its Cooper Complete Elite Athlete multivitamin, which was subsequently found to contain a banned substance. According to Cox’s attorney’s, in March of 2018, Cox was initially slapped with a two-year suspension from competition by FINA, the global sanctioning body for swimming and diving, after routine blood and urine tests found trace amounts of trimetazidine in her system. The substance is used as a heart medication outside of the U.S. but is not approved for sale in the U.S. by the Food and Drug Administration. Cox’s suspension was reduced when the source of the banned drug was identified, and she was cleared to resume competing in September 2018, but her attorney’s claim she still faces significant reputational, financial and emotional consequences. Cox missed several major events and to return fees, grants and prizes from the U.S. Olympic Committee and USA Swimming, and was unable to pursue lucrative corporate sponsorships. Testing by a World Anti-Doping Agency accredited laboratory last summer found that both a sealed bottle of the Cooper Complete vitamin Cox had purchased, and the unsealed bottle of the Cooper Complete vitamin Cox was taking at the time of her positive test, contained trimetazidine. Cox had taken the multivitamin to correct low levels of iron in her blood, never suspecting it could contain a banned substance. As of today, Cooper Concepts has not received a lawsuit. However, when we learned about this issue we were stunned and angered and removed that vitamin immediately from our product line. We are saddened and disappointed for Madisyn Cox and the time she missed in competition. We carefully formulated the ingredients to be included in our products and we relied on our manufacturer to produce products accordingly. That particular manufacturer no longer produces any vitamins for us.